Show off your conversions. Some WDs have more mods on their bodies than their bikes! Keep it tidy - no enlargements! 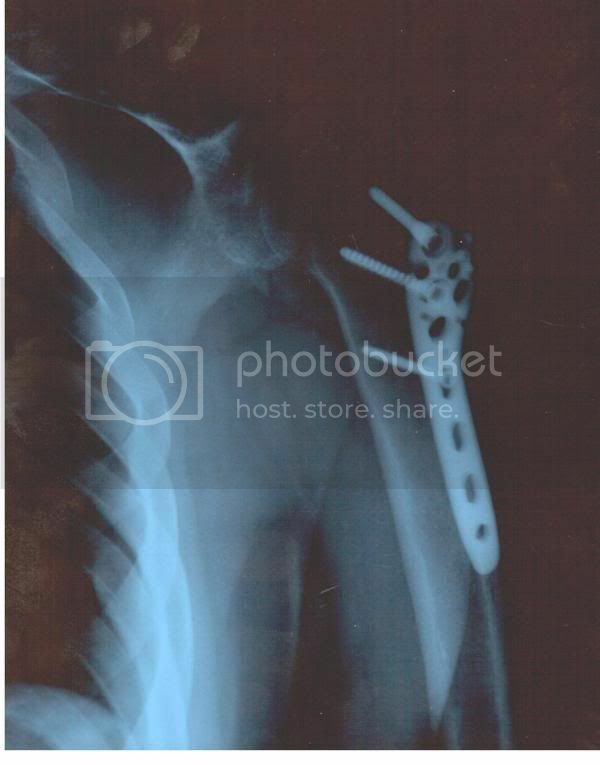 Broken left arm (Complicated fracture of the greater tuberositas of the left humerus). Rotator cuff muscle detached from the arm on a bone fragment. The ugly part was that I still had to ride another 70kms across some rough terrain with one functional arm. Thank God for Myprodol! Repair: Titanium plate and three screws. Doctor used some gut to anchor down the floating fragment to the screws. Took about 6 weeks for the bone to heal but around 6 months for the muscles to funciton properly.